When homeowners across South Florida encounter various situations that result in a broken glass window repair Wellington FL, they immediately realize the potential hazard and security risks that are associated with it. Whether it is the sharp edges of the glass or the possibility of burglary, a broken glass window or sliding glass door repair demands immediate attention and action for a swift glass repair. Incidentally, inexperienced individuals themselves should not attempt to repair glass windows or sliding glass doors. In order to ensure a sturdy and risk-free repair, one must rely on the professional services of a good glass repair company Wellington FL. However, the selection process for these companies can often be daunting, especially when residents or business owners have not faced a similar situation in the past. The following section explains key considerations that customers must pay attention to, before they finalize their decision of a handing their glass repair project to a glass repair company Wellington FL. During your hunt for a glass repair expert Wellington FL, you must review online sources and customer reviews to ensure that you select a company with highly skilled and fully trained staff. Another tip to make sure that you find a truly professional glass repair company West Palm Beach FL is that you should initiate open communication with the representatives. You must only trust a glass repair company Wellington FL that offers transparency of information about their material selection. For example at Express Glass & Board Up Service we offer a 5 year warranty on the quality of the high impact glass and a 10 year warranty on the insulated units. Customers could request a certificate of warranty upon request. Once you acquire knowledge on the types of material options the glass repair company Wellington FL has, you must conduct a quick research on each material. This is how you can be confident about the quality of the materials. When looking for a residential glass repair service in Ft. Lauderdale or a West Palm Beach commercial glass repair service, homeowners and business owners should not confine their search to the services offered by various glass repair companies Wellington FL. It is equally important to find an option that charges reasonable rates which are compatible with your budget. This is why Express Glass & Board Up Service offers Free Estimates and an Instant 10% Off. Another key concern of homeowners and business owners who are seeking glass replacement Wellington FL by a professional glass repair company is based on its past records. One of the most effective ways to find this information is through the recorded testimonials by its previous customers. You can review Express Glass Testimonials as well as local reviews found in google places and google+ pages. A quick overview of these important factors can guide you to a good decision for a glass repair company Wellington FL. Wellington, Florida, in Palm Beach county, is 12 miles W of West Palm Beach, Florida (center to center) and 61 miles N of Miami, Florida. Wellington is well known for equestrian and polo events and is home to one of the biggest horse shows in the world. It’s known for large homes, town houses, luxury apartments and horse farms. A large number of residents are equestrian enthusiasts. Wellington is known for its unique shops and upscale restaurants. It features an attractive natural environment. Wellington was originally strawberry farmland. During the 1950’s, C. Oliver Wellington purchased a large acreage of swampland in Palm Beach County that years later became Wellington. In 1972 the village was established. Golfing is popular at the numerous quality courses including Wellington Golf & Country Club, Tradition Golf Club, Links at Madison Green and the Village Golf Course. The city includes numerous parks for outdoor activities. The Equestrian Preserve Area is popular with Wellington’s large number of horse riding enthusiasts. 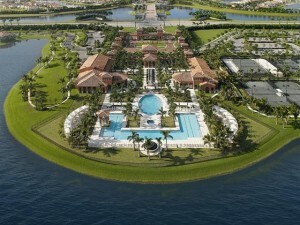 The nearby cities of Royal Palm Beach, Boca Raton, Loxahatchee and Palm Beach are popular destinations for residents. The area features excellent beaches. Families enjoy the Rapids Water Park. Canoeing enthusiasts enjoy the Loxahatchee Preserve. The Loxahatchee National Wildlife Refuge features scenic trails. The nearby Atlantic Coast offers residents excellent opportunities for boating, sailing and fishing.